For a limited time, the Cox Tech Solutions Initial Technician Fee will be waived — a $99.99 value! *Device limit on Single and Multiple Device plans applies to virus/malware support. Both plans offer home networking support for an unlimited number of devices. Ready to order Cox Tech Solutions? 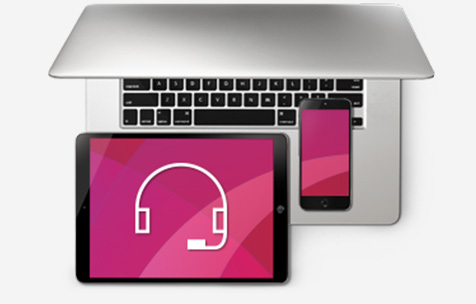 Get 24/7 expert advice, network support, diagnostics and installation help over the phone. To purchase one-time help, call 877-TEC-SOLV (877-832-7658). Get troubleshooting help for your computer or tablet from one of our dedicated experts. Whether you're having virus or malware issues or something else, a Cox Tech Solutions expert can get you back on the right track. Get help with a first-time setup, installation or home network issue, such as configuring your wireless router/gateway or connecting to your network, from one of our knowledgeable technicians. 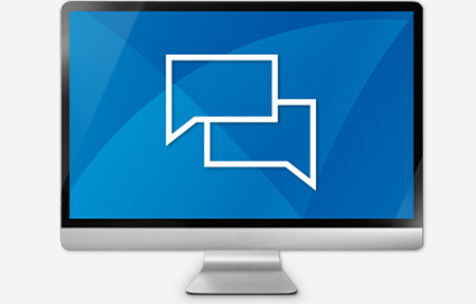 Learn how to use your computer, applications and devices with the help of a trusted Cox Tech Solutions advisor. From setup to backup, an expert advisor will help you better understand your equipment and the latest technology. Schedule a tune-up and diagnostic tests with an expert technician to ensure that your programs are working properly. You’ll enjoy improved operating performance and maximum PC/laptop efficiency. Choose an Internet package and add a tech support plan during checkout! Find the solutions to keep your Internet streaming seamlessly. Get the right features and equipment to maximize your Internet experience. Explore options and pricing for Cox High Speed Internet packages and find the right one for you. For residential customers in Cox service areas. Cox Tech Solutions service options have additional terms and conditions. See important Cox Service Protection Plan details and conditions for full coverage details. Cox Tech Solutions and Cox Service Protection Plan are service marks of Cox Communications. All rights reserved. Offer is available to new residential Cox High Speed Internet customers in Cox service areas. $9.99/month for 12 months plan with $99.99 initial technician fee includes Cox Tech Solutions with single device support and Cox Service Protection Plan. After promotional period, regular rates for Cox Tech Solutions (currently $21.98/month) and Cox Service Protection Plan (currently $6.99/month) apply. The order can take 24-48 hours to process and apply to your account. Virus/malware support is limited to one desktop PC, tablet or laptop computer. Home networking support for an unlimited number of devices is included. Not available in all areas. Pricing and services subject to change. Taxes not included. See important Cox Tech Solutions Details and Conditions and Cox Service Protection Plan Details and Conditions for full coverage details. Other restrictions may apply. Offer is available to new residential Cox High Speed Internet customers in Cox service areas. $14.99/month for 12 months plan with $99.99 initial technician fee includes Cox Tech Solutions with single device support and Cox Service Protection Plan. After promotional period, regular rates for Cox Tech Solutions (currently $16.98/month) and Cox Service Protection Plan (currently $6.99/month) apply. The order can take 24-48 hours to process and apply to your account. Virus/malware support is limited to one desktop PC, tablet or laptop computer. Home networking support for an unlimited number of devices is included. Not available in all areas. Pricing and services subject to change. Taxes not included. See important Cox Tech Solutions Details and Conditions and Cox Service Protection Plan Details and Conditions for full coverage details. Other restrictions may apply. Offer is available to new residential Cox High Speed Internet customers in Cox service areas. $11.99/month for 12 months plan includes Cox Tech Solutions with multiple device support and Cox Service Protection Plan. After promotional period, regular rates for Cox Tech Solutions (currently $14.99/month) and Cox Service Protection Plan (currently $6.99/month) apply. The order can take 24-48 hours to process and apply to your account. 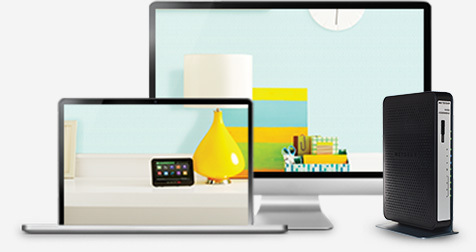 Virus/malware support is limited to four desktop PC's, tablets or laptop computers. Home networking support for an unlimited number of devices is included. Not available in all areas. Pricing and services subject to change. Taxes not included. See important Cox Tech Solutions Details and Conditions and Cox Service Protection Plan Details and Conditions for full coverage details. Other restrictions may apply. Offer is available to new residential Cox High Speed Internet customers in Cox service areas. $9.99/month for 12 months plan includes Cox Tech Solutions with single device support and Cox Service Protection Plan. After promotional period, regular rates for Cox Tech Solutions (currently $9.99/month) and Cox Service Protection Plan (currently $6.99/month) apply. The order can take 24-48 hours to process and apply to your account. Virus/malware support is limited to one desktop PC, tablet or laptop computer. Home networking support for an unlimited number of devices is included. Not available in all areas. Pricing and services subject to change. Taxes not included. See important Cox Tech Solutions Details and Conditions and Cox Service Protection Plan Details and Conditions for full coverage details. Other restrictions may apply.